3 Interns, 3 Stylists, 3 Events, 3 Hours – was an exciting competition held in July at the new No.1 event space in Malvern. The competition was the brain child of the always innovative Elizabeth Hollingsworth, Director of My Event Décor. Complete Function Hire were thrilled to be part of this 20 strong industry supplier collaboration as the concept was just so cool! The competition was created to help event management students understand what clients want (and on a limited time frame which is very much an event industry standard these days). 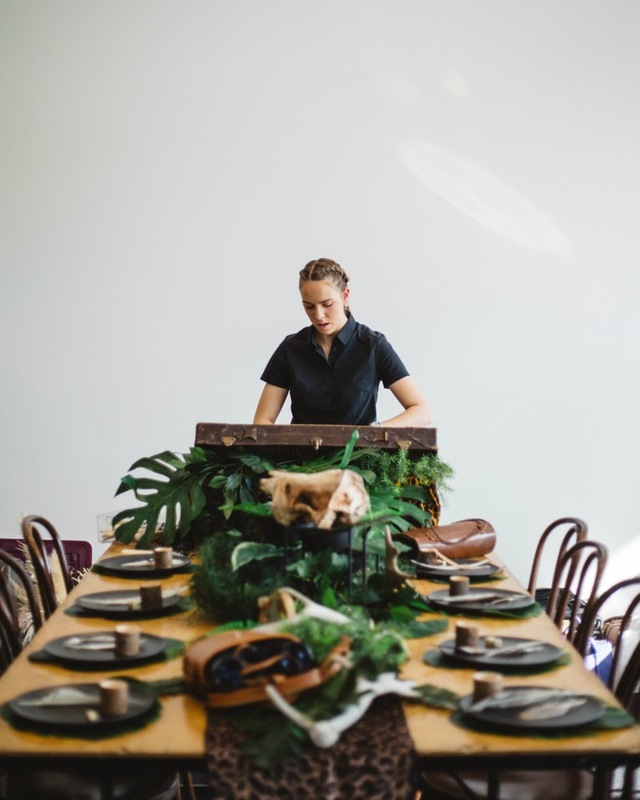 One of the talented event management students, Clare Brown setting her Jumanji themed table (long rustic table provided by us). 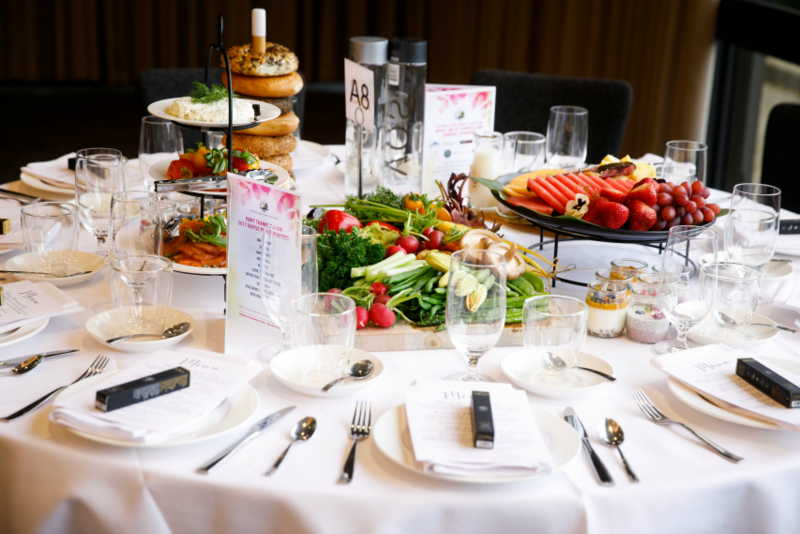 3 creative students – Clare Brown from William Angliss, Sam de Silva from Victoria University and Ishita Mandal from Holmesglen Moorabbin, had to complete one table setting per event in an hour or less. The heat was on but it did provide real industry exposure for these talented students. Experienced event stylists from Ruffles and Bells, The Hattie and Bairn Tribe and Artmospherix created mood boards and creative briefs that were then utilised by the students who needed to select items from the rental range at My Event Décor (and had to liaise with a suite of suppliers – from florists to stationary designers – to complete their looks). 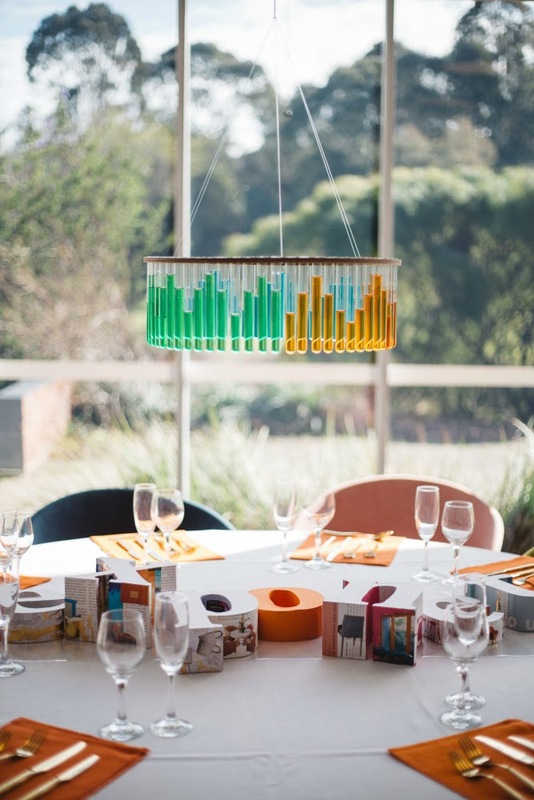 A stunning corporate launch look for Exponet developed by Clare Brown featuring our gold cutlery. 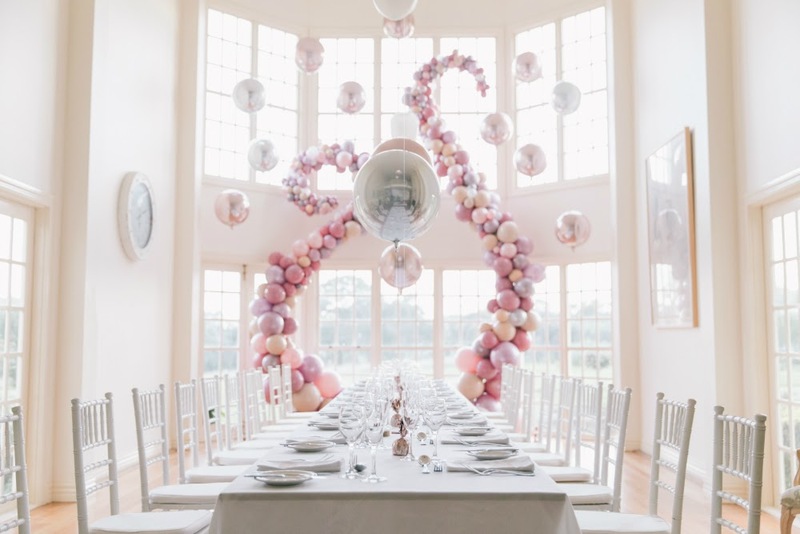 The students sourced items for themed events including corporate product launches, a Mad Men themed 40th party, a one-year old’s pink birthday party, a Jumanji themed 30th and several wedding looks including Moroccan bohemian, glamorous and contemporary. This exciting competition was captured on video and camera – thus giving the students an excellent portfolio to utilise for their careers ahead. Talented student Ishita Mandal created an impressive look for Melbourne Watch. 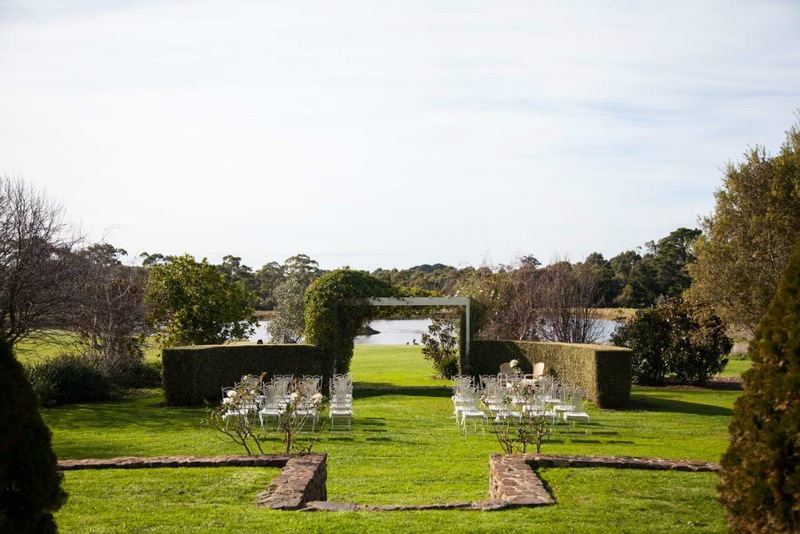 Major suppliers included My Event Décor, Complete Function Hire, Weddings of Distinction, Cacao, The Prop Store, Di Simmons Linen Hire, Mini Party People, RTR Productions, Greenevent, Thrive Flowers, Exponet, Melbourne Watch and Helen’s Hill Estate. 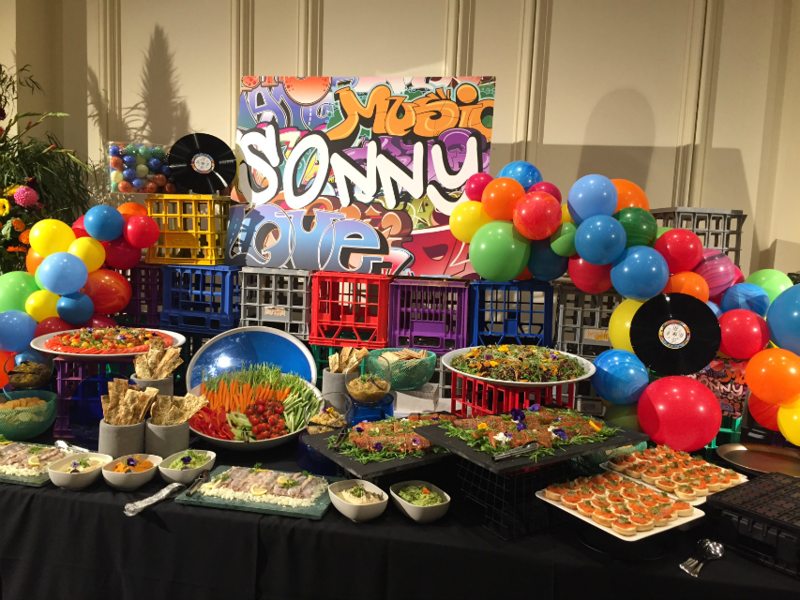 An epic Mad Men themed table for a 40th birthday party styled by Sam de Silva. Congratulations to all the students involved and to the team of event gurus at My Event Décor on creating such a fresh concept that encourages creativity and supports career growth in our industry. Contact the friendly team at Complete Function Hire today to discuss your upcoming event. Roquette Catering have been creating unforgettable culinary experiences for over 12 years. 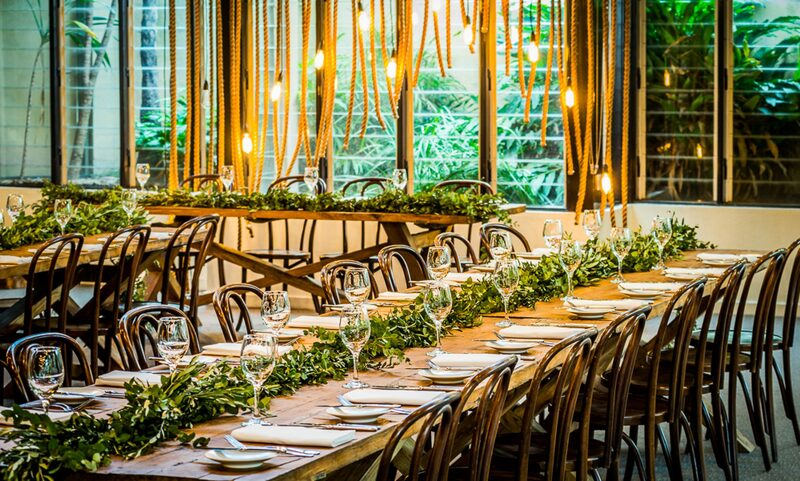 Using only the best seasonal ingredients, the innovative team at Roquette Catering are renown for creating beautiful Kosher menus and for delivering the most memorable events in Melbourne. 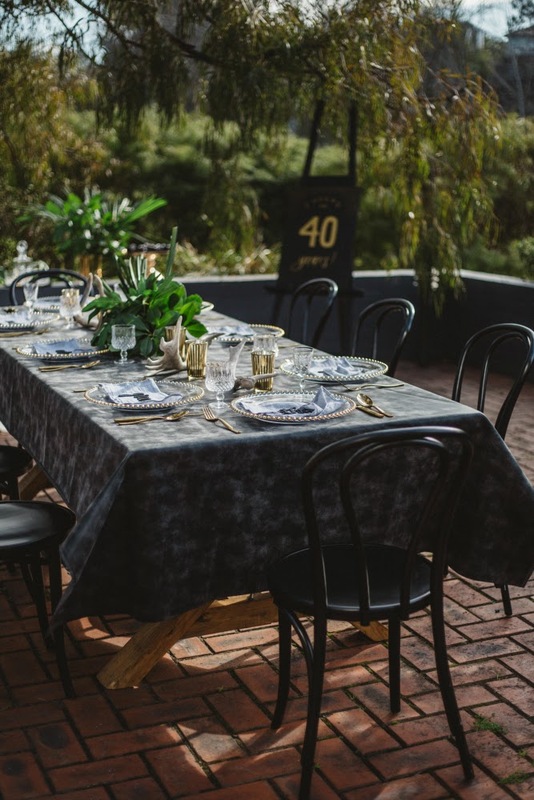 Attention to detail is their happy place and the team at Roquette Catering know just how to throw parties that are talked about for years to come. We were thrilled this month to speak to the team at Roquette Catering to find out about their favourite flavours for winter PLUS some expert tips for event planners. 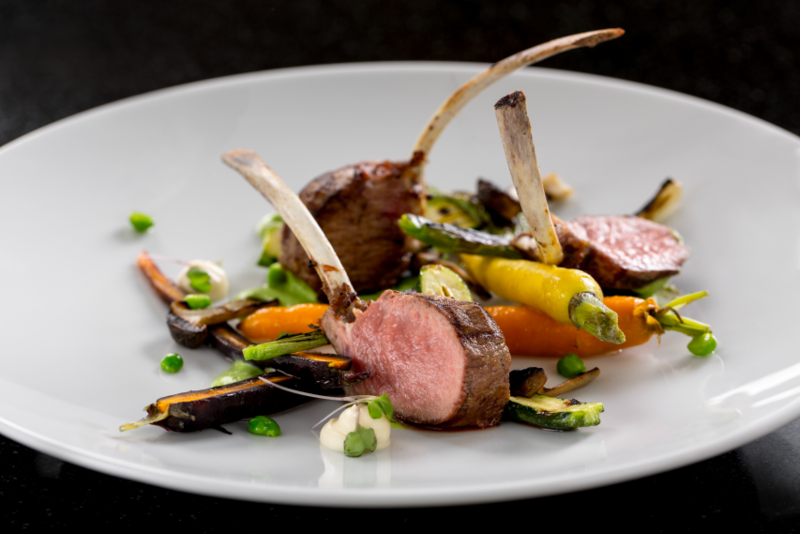 Innovative menus using only the freshest ingredients. What are the team at Roquette Catering’s favourite flavours for the cooler months ahead? We are loving Middle Eastern cuisine at the moment. With its hearty flavours, slow cooked and braised offerings and traditionally served in a family style manner, what is there not to love! 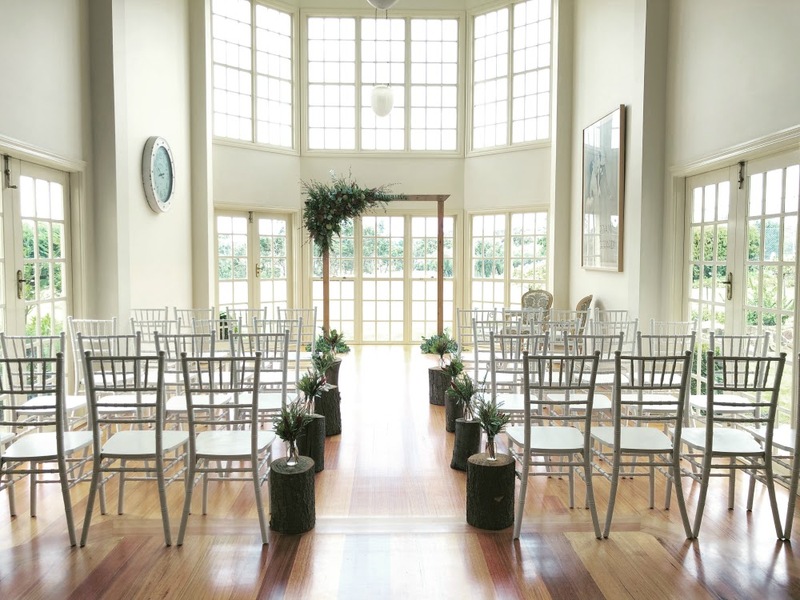 What advice would you give event planners on how to choose the perfect venue? Awareness of the potential venue challenges is essential for creating a successful event, but only half the battle. How do you avoid these challenges or tackle them as they come up? Simple: you need a game-plan. Roquette Catering create mouthwatering Kosher menus that party guests talk about for years to come. Image credit Jeremy Blode. 1. Collate all your questions into a single document and bring it with you when assessing venues. Simply present it to the venue when you arrive and tick off all questions, to make sure you learn everything you need to know about the venue. 2. 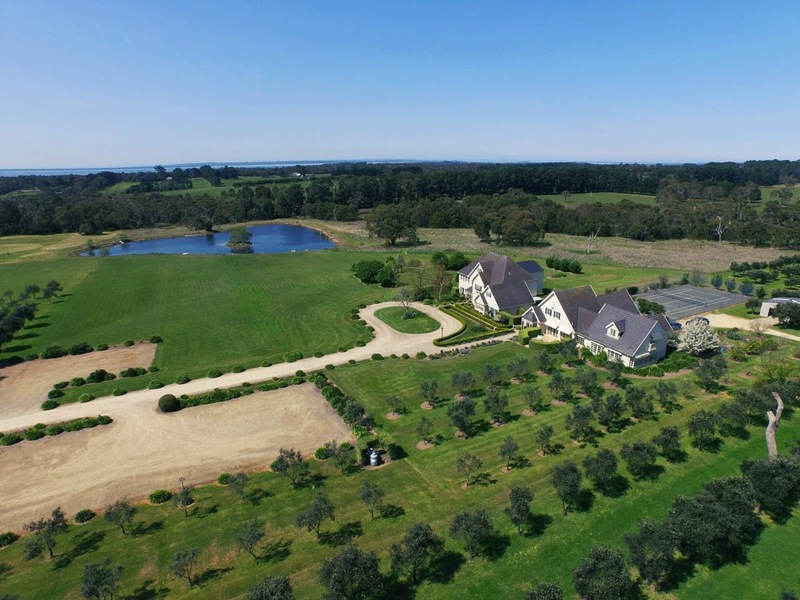 Invite your caterer along to view the kitchen. It’s important they know what facilities are available before selecting your menu! 3. Obtain costs for any additional equipment that may be needed in the kitchen or elsewhere as early as possible, so you can assess and budget them into the venue price. 4. For destination events, your best bet is to hire a coordinator who has experience in planning events at your destination. A magnificent feast by Roquette Catering. Image credit Jeremy Blode. Food trends for 2018 – what are the ‘must have’ menu choices for 2018? Back to basics – good, nutritious and real food rather than over complicated dishes. Homemade everything from dips, condiments, pickled and kimchi. Ethical and sustainable food is a highlight. Meat alternatives such as our kale and quinoa patties rather than your traditional burger. 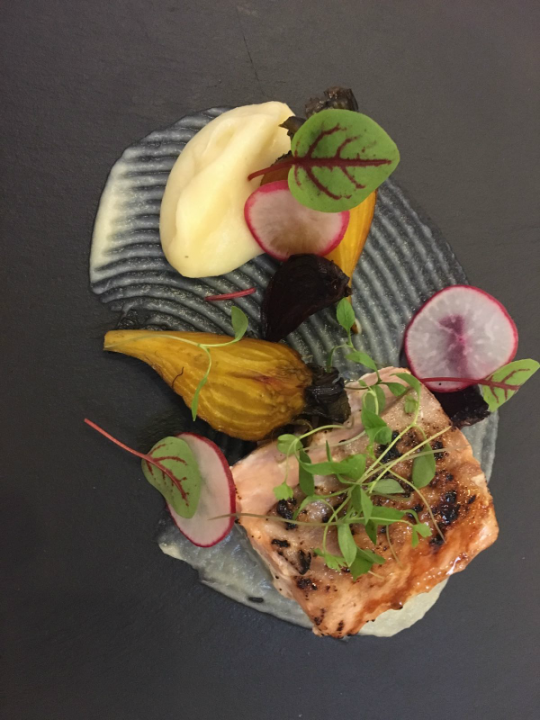 Roquette Catering’s Confit Salmon dish is not only beautiful, it is bursting with fresh flavours. What can event planners incorporate as an exciting point of difference for their Bat Mitzvah or Bar Mitzvah? Personalisation – with so many celebrations it is easy to mixed up into what everyone else is doing. 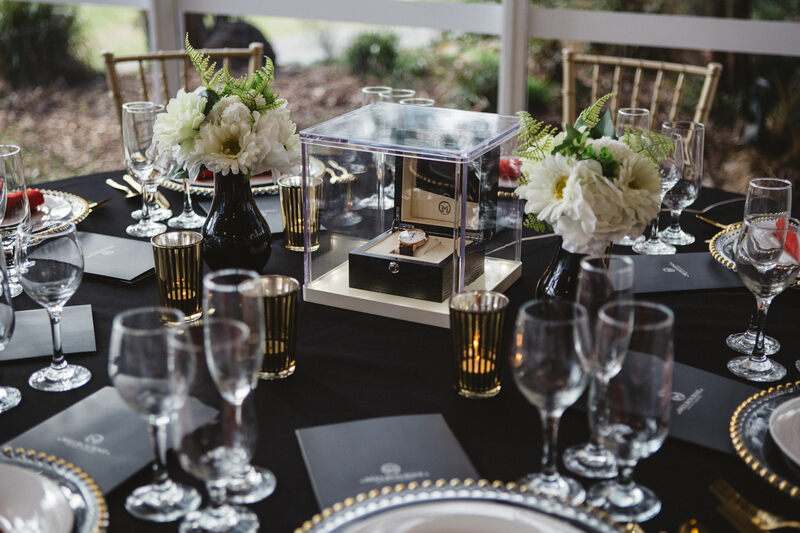 By adding a level of personalisation from menu design and concepts to styling, printing and entertainment, guests will feel like they are celebrating the individual. 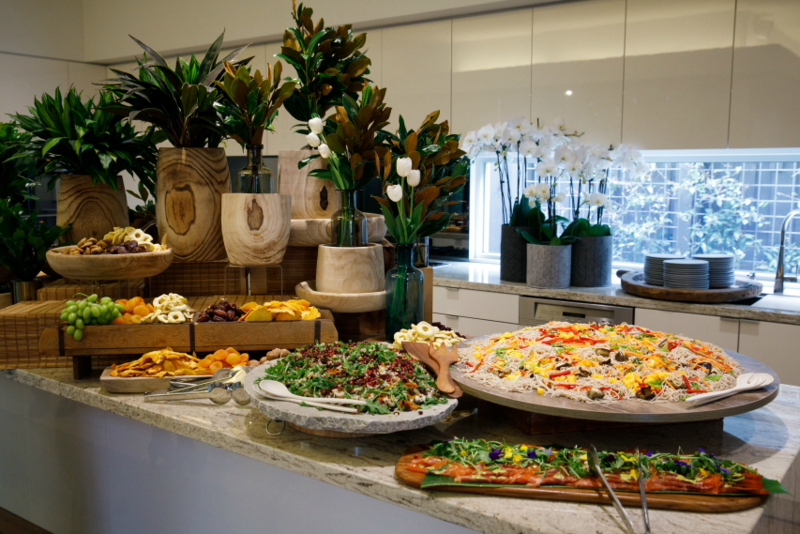 To celebrate your next event in style, contact the team of catering and event experts at Roquette Catering today. For all your event hire needs – the team at Complete Function Hire are on hand to help ensure your upcoming event is perfect. 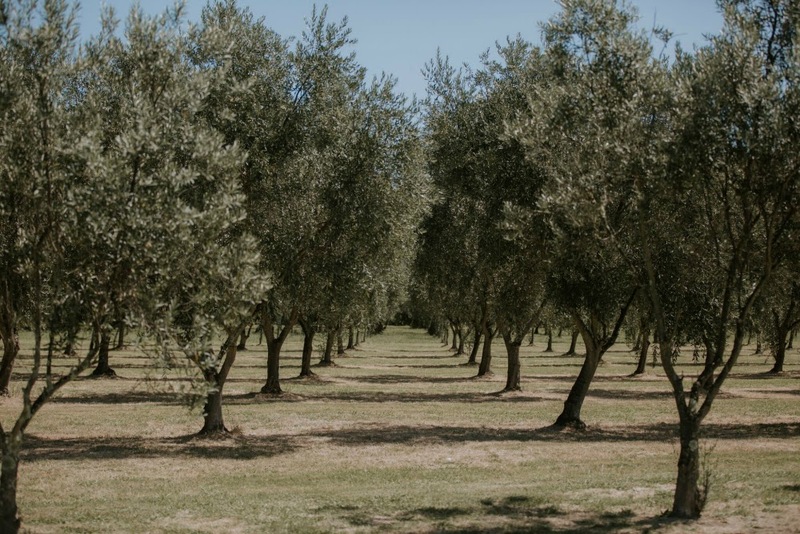 With Melbourne event season in full swing, we rely on our hardworking team to maintain our (always) high levels of customer service when we go from busy to really busy in October. Our conscientious team includes 15 Complete Function Hire Road Staff. These guys are the glue that holds our operation together over event season with their tireless efforts to ensure our hire products are delivered, bumped in and set up on time, every time. And with a smile! Our Road Staff make sure our furniture and equipment are in top condition and that our busy warehouse is running like clockwork. Andrew is part of our hardworking Road Staff team. Meet Andrew de Vos. Andrew plays an integral role at Complete Function Hire as part of our awesome Road Staff. 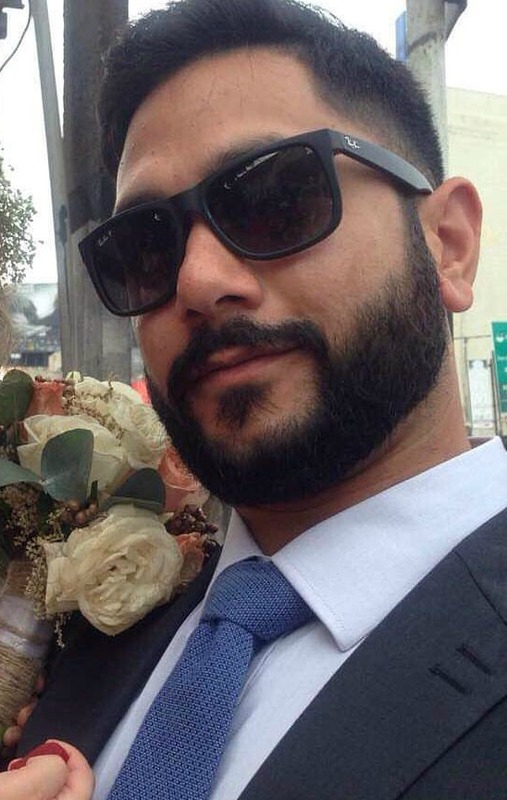 Pizza fan, beer lover and fanatical Essendon Supporter, Andrew is a meticulous member of our team that loves providing the best possible customer service to our clients and event partners. How long have you been involved in the events industry? 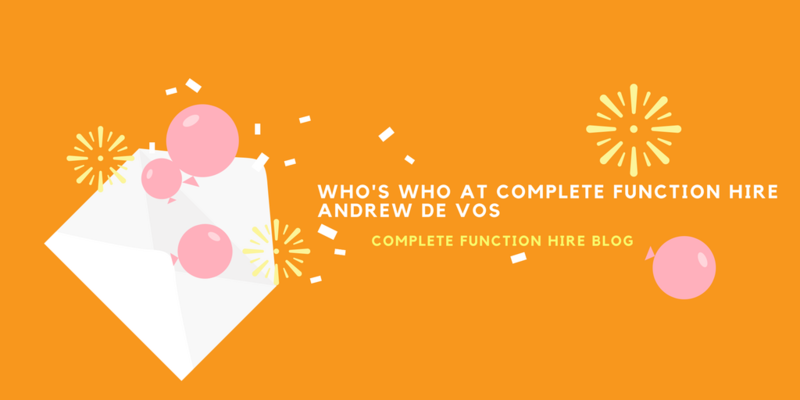 What prompted you to start working at Complete Function Hire? I joined Complete Function Hire because I believed the event industry would be interesting and I could utilise my background in customer service and hospitality. First Complete Function Hire gig? My first job was a corporate dinner at Munich Brauhaus. 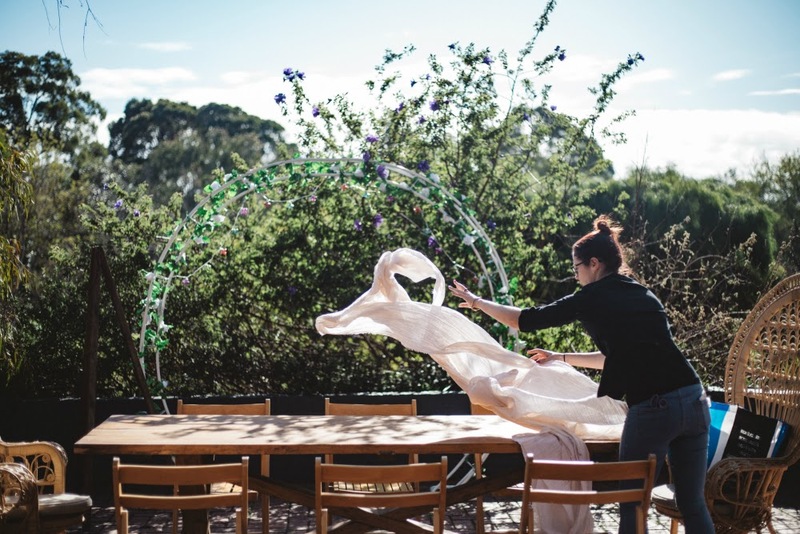 Andrew and the Complete Function Hire team love working on weddings and events at Melbourne’s Royal Botanic Gardens. Most memorable event or wedding you have worked on at Complete Function Hire and why? 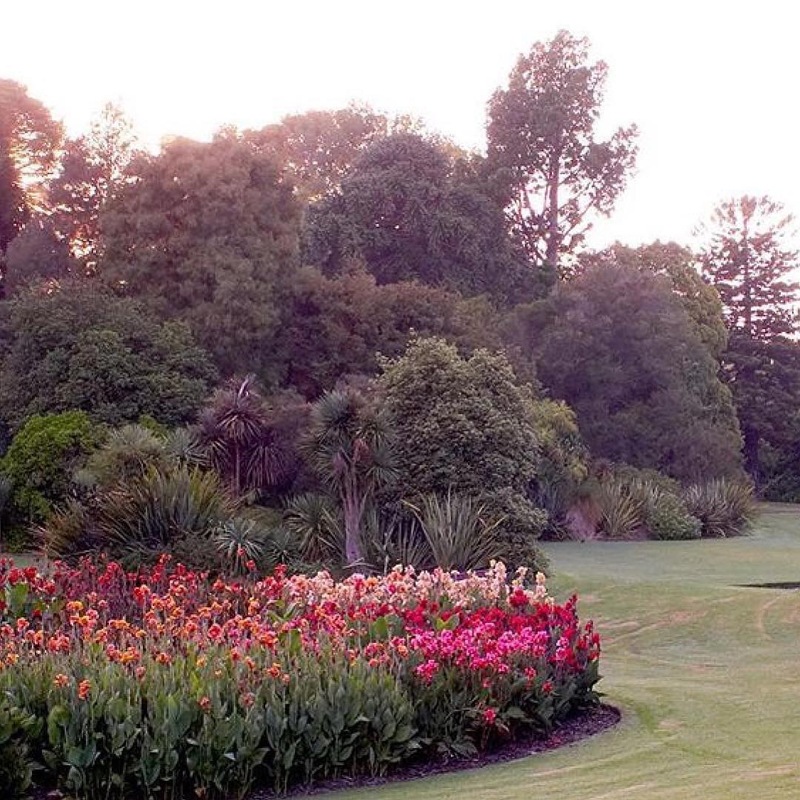 We’ve done a few weddings in the Royal Botanic Gardens. I always enjoy delivering and setting up there as there are so many amazing locations throughout the Gardens – it’s hard to top! What do you enjoy best about working at Complete Function Hire? The variety of function venues we go to always keeps the job interesting. We are able to go to places that we wouldn’t normally have access to and see amazing spaces and events – there’s never a dull moment. Favourite hobbies and past times? I am a huge basketball fan (and horrible basketball player!). I also enjoy drawing and painting and anything creative. Who do you barrack for in the AFL (or other favourite sport) and why? The mighty Bombers!! It runs in the family. It’s been great to work so closely with Essendon Football Club this year as we (Complete Function Hire) are event support partners of the club. Contact the team of service driven event professionals at Complete Function Hire today about your upcoming wedding or event.